In a year where the comedy and drama categories seem set in stone, the Emmy for Outstanding Limited Series is by far the most competitive program award of the year. Just about every major network has a limited or anthology series in contention. Together FX and HBO have monopolized the category for the past seven years, and this year, they are back with two of the most talked about shows of the past year. Also, Showtime is a major player in the conversation as well as Amazon, Hulu. Netflix, TNT, and CBS All Access. Because the category is so competitive, it’s all the more frustrating that the Emmys limit the category to five nominees while comedy and drama shows are each given at least seven slots. The reinvigorated category with limited and anthology series has consistently given us the best shows of the year. This year we have a prestigious Broadway period piece, multiple literary adaptations, true crime stories that captivate America, and political dramas that have the power to challenge their audiences. If there was ever a year to expand the category this would be it. Before it even premiered last summer HBO’s Sharp Objects was the clear favorite for series, actress, and supporting actress. Because of everyone involved fans were expecting a mix between Gone Girl and Big Little Lies which led to some initial mixed reactions. As the season progressed however it found an audience that was drawn to its dark exploration of mental health, self-harm, and substance abuse especially in part because of the career-defining performances from Amy Adams, Patricia Clarkson, and newcomer Eliza Scanlen. This all led to several key guild nominations, however Sharp Objects proved to be polarizing among voters by leaving empty-handed throughout awards season besides a Golden Globe for Clarkson. Everything about this week’s premiere of Fosse/Verdon felt perfectly tailored to appeal to Emmy voters. An Oscar winner and nominee star as two of the biggest Broadway legends in a show produced by some of the biggest names of today including Lin-Manuel Miranda. The episodes are packed with iconic musical numbers and the craft of the show is guaranteed to rack up nominations. There is no way that Fosse/Verdon doesn’t end up as one of the most nominated shows of the year and as a result one of the key frontrunners. But recently Emmy voters have rejected the prestige self-referential depiction of the entertainment industry. Will voters obsess over the infamously complicated relationship or will Fosse/Verdon suffer the same fate as similar prestige period pieces like Feud? Escape at Dannemora premiered last November, and over the course of seven episodes, became a huge word of mouth hit. 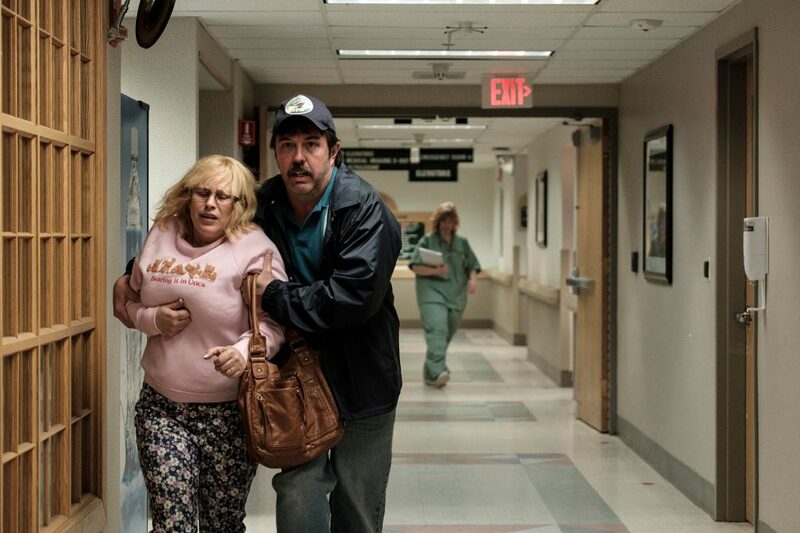 The true story about the 2015 prison escape of two murderers was celebrated by critics and viewers particularly for Patricia Arquette’s lead performance and Ben Stiller’s direction – both of which were labeled as career-defining work. Arquette went on to win both a Golden Globe and SAG award, and Stiller scored a major upset at the DGA awards. The Showtime series also won an ACE Eddie award and received guild nominations for sound mixing and producing. One of the most thematically challenging shows of the year was Maniac, Netflix’s sci-fi dream landscape focused on grief, PTSD, and the memories we’re left with. Critics seemed to respect the eight part series but there were polarizing reactions from audiences. In such a crowded category polarizing audience reactions might work against it but so far Maniac has done well with industry voters earning nominations for producing, directing, writing, acting, art direction, and sound editing. Projects from Cary Joji Fukunaga also have a proven track record at the Emmys with nominations for The Alienist and even a win for True Detective. True Detective has had a complicated history at the Emmys. The acclaimed first season earned several major nominations in the drama categories but the anthology series also suffered from one of the worst sophomore slumps in recent memory being shutout from every major category. After a four year hiatus the mystery anthology is back and this time with one of our most revered actors, Mahershala Ali. Is Ali enough to convince voters to give True Detective a second chance? At first The Act seemed like a simple acting showcase for its two stars, Joey King and Patricia Arquette. As the weeks went by however the true crime Munchhausen Syndrome by Proxy story has become a word of mouth hit that has the opportunity to excite voters. If the acting and producing branches of the Television Academy rally behind The Act there’s a chance it becomes one of the five nominees. The story behind A Very English Scandal might not be well known to American audiences but the true story of a member of Parliament who was tried and acquitted of attempting to murder his male lover. It’s the perfect to excite Emmy voters that are partial to British programming and it has the potential to earn nominations for its writing as well as Hugh Grant and Ben Wishaw. The three episode limited series received a near perfect score on Rotten Tomatoes, earned three Golden Globe nominations including a win for Wishaw, a SAG nomination for Grant, and it just received 12 BAFTA TV nominations. It will be interesting to see if its passionate support from fans keeps it in the conversation a year after it premiered or if it falls to the side in favor of the other limited series premiering right before voting. CBS All Access hasn’t made any official decisions regarding category submissions for the Jordan Peele reboot of The Twilight Zone, but it’s starting to look more and more like it will be in the Outstanding Limited Series race. So far all of the episodes have run less than75 minutes making them ineligible to compete for Outstanding TV Movie according to a new Emmy rule. The first couple of episodes have received mixed reactions with the standout installments including a modernization of Nightmare at 30,000 Feet and the new story Replay. As the remake continues to gain momentum it will continue to be a part of the Emmy conversation, especially with Jordan Peele at the center of it. Last fall The Haunting of Hill House became a huge breakout success for Netflix. The modern adaptation of the beloved Shirley Jackson was acclaimed for the terror it caused in fans, the hidden ghosts on the screen, and its portrayal of grief and trauma. The anthology series may not seem like an obvious Emmy contender but this is the category that was completely reinvigorated by American Horror Story so it shouldn’t seem that unlikely. If Netflix emphasizes the prestige thematic elements of The Haunting of Hill House could become a surprise Emmy contender. On paper I Am The Night is a perfect Emmy contender. Co-created by Patty Jenkins and starring Chris Pine it features plenty of movie star power in front of and behind the camera. Featuring a surprising exploration of the Black Dahlia, the untapped potential of the Fauna Hodel story, and 1960s counter-culture it has the opportunity to appeal to excite audiences that love crime thrillers while also appealing to all of the craft categories. However, after it premiered I Am The Night received lackluster reviews with the critique that it didn’t get as dark and speedy as it had the potential to be. Even if I Am The Night doesn’t seem like an early frontrunner it shouldn’t be counted out entirely since TNT is great at marketing their shows and convincing the television academy to pay attention. Either way, Patty Jenkins is in a good position to be singled out for her direction. Next month HBO will be premiering Chernobyl, the five-part series detailing the events surrounding the 1986 Chernobyl nuclear disaster. The trailer is incredibly grim and hints that the drama will depict the disaster from multiple angles including the political and human ramifications of the event. The ensemble cast features multiple well-known actors including Emily Watson, Stellan Skarsgård, and Jared Harris. 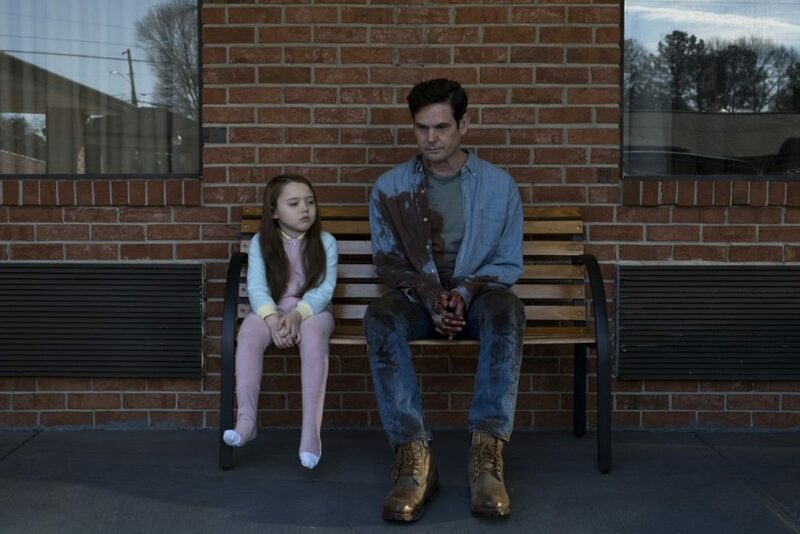 The upcoming series has the potential to make an incredibly powerful statement that Emmy voters will gravitate towards, but judging from the trailer, it also risks coming off as incredibly grim and scaring away voters. Ava DuVernay has quickly become one of the most respected names in Hollywood and because of that she should never be discounted. Her upcoming limited series When They See Us (although we’ve barely even seen a full length trailer) has the potential to be a major player in the upcoming Emmy race. DuVernay is dramatizing the story of the Central Park Five, a group of young men of color who were wrongfully accused and convicted of sexual assault. The story is particularly relevant today because of Trump’s part in manipulating the public opinion of the case and that might influence voters to rally behind the series. Netflix will release When They See Us on May 31st, the last day of Emmy eligibility (which has benefited shows in the past). Hulu’s upcoming adaptation of the classic novel Catch-22 is caught in the middle of a rapidly changing television academy. The upcoming limited series is sure to stand out for its star-studded cast including George Clooney’s return to television as well as for its high-production value that makes it look more like an epic war film rather than a TV show. On the other hand voters have recently become bored by prestige literary adaptations and have instead gravitated towards more modern and flashier projects. There hasn’t been any recent news or buzz surrounding Catch-22 since the trailer was released earlier this year so a critical and audience consensus won’t form until it premieres next month.